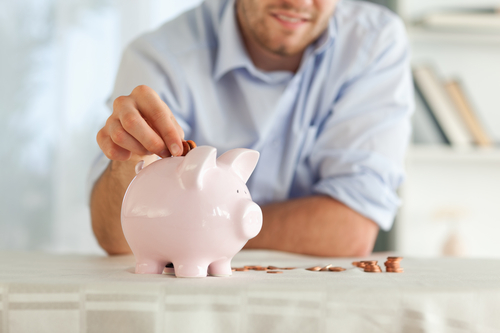 There are a lot of people who are trying to look for ways to save money better. What you need to remember is that it will not always be easy. However, there are things you can do to help you do it the right way. The last thing you need is to start saving money incorrectly causing you to lose money along the way. Here are a few things to look into to help you save better. One of the very first things you need to do to help you save money is to create a household budget. This is an important starting point for most of your financial goals and objective. Your budget should give you a complete overview of your finances. This tool tells you how much income you earn and bring in and what your payments are every month. This will help you understand how to budget your finances better. More importantly, where to make adjustments to help you reach your goal. If it is to save money, you will have a better picture of your overall financial situation. This will give you a better chance to put together your action plan to help you save money. One thing you have to remember when it comes to household budgets is that it is usually a three-pronged approach. Putting together your budget is just the first step and a crucial one at that. The next thing you need to do is to actually follow your budget. It might seem like a no-brainer but there are some people who just leave their budget at home. If you have a grocery budget, bring it with you when you do your groceries. Do not leave it at home and just check if you went over budget when you get home. Bring and use the list as you go and buy your groceries. This way, you will know if you are still within budget and what items you need to cut down on. It can even help you put back items you do not really need which bloats up your grocery budget. Nothing in this world is perfect and if you want to save money better, you need to continuously make adjustments on your budget. There will be times when things work out and things don’t when you are budgeting. Take your best practices and put them to work and change areas that do not contribute to your financial goal. If you are looking to save money better, one of the things you need to look into is to pay down your debts. You have to be more aggressive in paying them off to help you free up more funds in your budget. Once you are able to do that, you have a better chance of not only saving money but strengthening your future as well. When you are serious with debt payment, you need to have a plan of attack when paying down your debt. For one, it is important to ensure you do not send late payments every month. This will not only increase the amount you pay on succeeding months with penalties and fees but it will also negatively affect your credit score. You can also explore debt repayment options as well to help you pay down your debt obligations. You can choose to consolidate your debts under one account. What this does is it helps you manage your payments better because you only have to monitor one payment every month. You can also look at debt settlement where your total balance is reduced through negotiations. It is better to work with a trusted debt settlement company so they negotiate on your behalf. When you are trying to save money better, you have to look at your budget and cross out expenses which are unnecessary. Take a close hard look at your expenses and identify the ones that you are barely using. Do you have a gym membership you pay for every month but barely use? It might be better to cancel that and just head on out to the closest park for a run. You might also be still subscribed and paying for monthly magazines which are collecting dust in one corner of your house. When it comes to music, you could be paying for multiple streaming services and you barely get to listen to any of them. Why not stick to one or if there is a free version, go with that. The idea is to create a leaner list for your expenses to free up some funds. The one-two combination when you want to save money better is to lower down your expenses and increase your income. One of the most popular ways to increase your income is to take up a second job. This takes out a lot on your end because you need to have the energy to do that job after your day job. It can be tiring real quick. One way around this is to look at your hobbies and think about how you earn from them. If you are an expert swimmer, maybe you can teach the kids in your neighborhood how to swim for a fee? Do you love to bake? Sell them online or every weekend in front of your house. You can also take your photography skills and cover events as a photographer for family and friends. One way you should definitely explore when you are trying to save money is to look at passive income. This is where your money earns over time even without direct involvement. Take a look at how you can earn from investments like the stock market. Over time, your money grows as long as the company you invested in is doing good. There are a lot of other investments you can explore which can offer you passive income. Just weigh the risk that comes with every investment making sure you are comfortable with them. As you try and save money better, you need to learn from past mistakes so you do not keep on making them. Financial mistakes end up costing you money and can really make it more challenging for you to reach your goals. One thing you need to remember is that mistakes will happen especially in the early stages of financial management. The important thing is that you remember the lessons those mistakes give you. When you encounter the same problems in the future, you already know how to handle them. You will no longer be rattled into making the wrong decision. The way to take advantage of mistakes is to learn from them and not make the same mistakes in the future. NBC shares that the economy lost $1.1 trillion during the 20089 Recession. There were a lot of lessons to be learned from that such as saving for emergency situations. Learning these lessons will help you prepare better for the future. There are a number of ways for you to save money better and help you plan for your future better. It can be saving for your retirement fund or even for your emergency money. The idea is to start with it and continuously improve as you go along. This will help you save better and bring you closer to your goals.